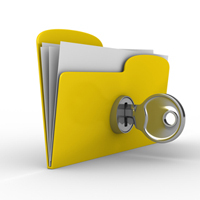 We respect your right to privacy and keep all your health information confidential and secure. The practice is registered and complies with the Data Protection Act. It is important that the NHS keeps accurate and up-to-date records about your health and treatment so that those treating you can give you the best possible advice and care. This information is only available to those involved in your care. We will require your written consent before passing information about you to third parties outside the health services. You have a right to know what information we hold about you. If you would like to see your records, please call our Practice Manager. There may be an administration charge for this. If you move to another practice your written and electronic records are transferred automatically to your new practice after you have registered there. We welcome any suggestions, which you feel would add to the comfort and well being of those in our care. We recognise the value that complaints, compliments and constructive criticism can provide. This will assist us in maintaining and developing a higher standard of health care for our patients. Please ask at the reception desk for our Compliments, Comments and Complaints leaflet which will give you more information. There is also a suggestion box in the waiting area. Dr Groning and Dr Conquest would appreciate your co-operation and understanding with teaching the medical students. If you are willing to be seen by a medical student prior to seeing Dr Groning or Dr Conquest please make this known to reception staff when booking your appointment. You will be seen first by the student and then by the relevant Dr.
You will have an appointment length of approximately 20-30 minutes. Although we are a training practice, patient care is our first concern. There are many times when patients do not wish the involvement of a student. We fully understand this at the practice and stress that seeing students is purely voluntary. Please inform us if you do not want to see a student. All GP Practices are required to declare the mean earnings for GPs working to deliver NHS Services to patients at each practice. The mean earnings for GPs working at Tenbury Surgery in the financial year ended 31st March 2017 was £75,623 before the deduction of employees' superannuation contributions, tax and national insurance. This is the average pay for five full-time GPs and one part-time GP who worked in the Practice for more than six months during that year.